First, let’s understand the meaning pink in India. Pink mean a color of celebration, happy and welcoming. It is very common for men in India wearing pink in their wedding day or other big occasion. When the Mahaja learn that the Prince of Wales and Queen Victoria are coming to visit India, he ordered the whole Jaipur city to paint in pink color to welcome his important VIP. Hence Jaipur is called Pink City since. Our first stop of Jaipur day 2 is City Palace. City Palace of Jaipur is a vast complex located in the heart of Jaipur city, the architecture is a fusion of Indian, Mughal, Rajput and even some European style. 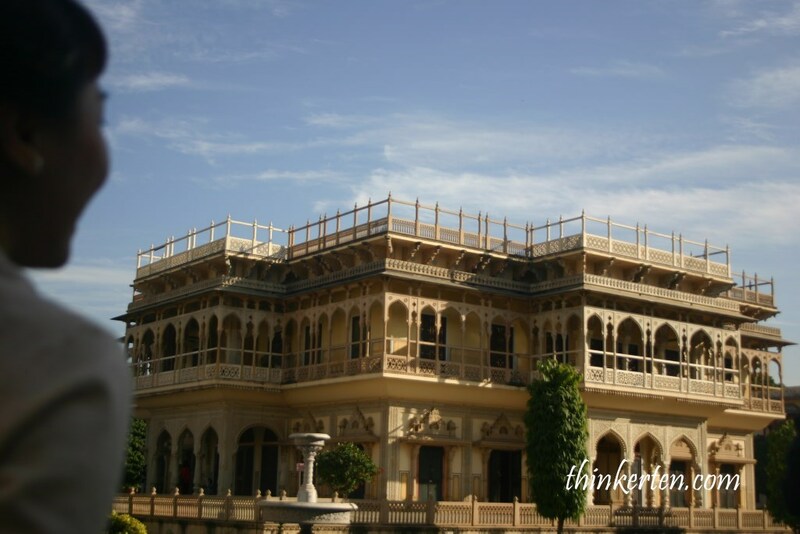 The City Palace was built by Maharaja Sawai Jai Singh who also known as the founder of Jaipur City. 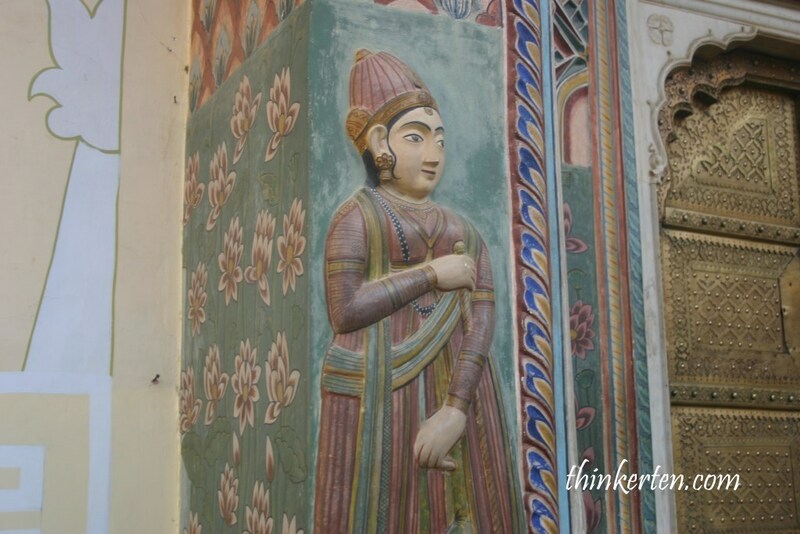 This Maharaja was also associated with Hawa Mahal (953 windows palace) and Jantar Mantar (Sun clock). Mubarak Mahal means ” Auspicious Palace”. It is now a museum open for public showing a variety of textiles such as royal formal costumes, embroidered shawls, Kashmiri pashminas and silk saris. Photography is not allowed in the museum. Inside the museum there is a giant voluminous clothes worn by the fat Maharaja Sawai Madho Singh I, who was believed to weighed 250 kg and had 108 wives. Compared to China’s Emperor, 108 is still consider a smaller number as China’s Emperor usually have few thousands wives. Beside the King’ clothes, you can also see the amazing and stunning royal fashion, which include dresses of the Princesses and Queens displayed in this Textile museum. Since I love fashion, this is a great place for me to explore slowly. Some of the dresses wore by the Princesses and Queens were so heavy over 9kg, that they could not stand and walk but needed a wheelchair to move around. I wouldn’t want that. This is the place Mahaja held his meeting with his important officials and ministers. The highlight of this place is to look for the two silver Giant Jars! These silver jar weigh around 340 kg and are display at the entrance. These are the biggest silver object which hold the Guinness World Record. When the Maharaja traveled to England, he carried the water of the Ganges River to drink on his trip as he was worry about committing religious sin by consuming the English water. The ceiling is painted red and gold which was quite dazzling with few crystal chandeliers hanging on the top. How do you like my Indian fashion in front of textile museum, the boots and umbrella are quite matching. 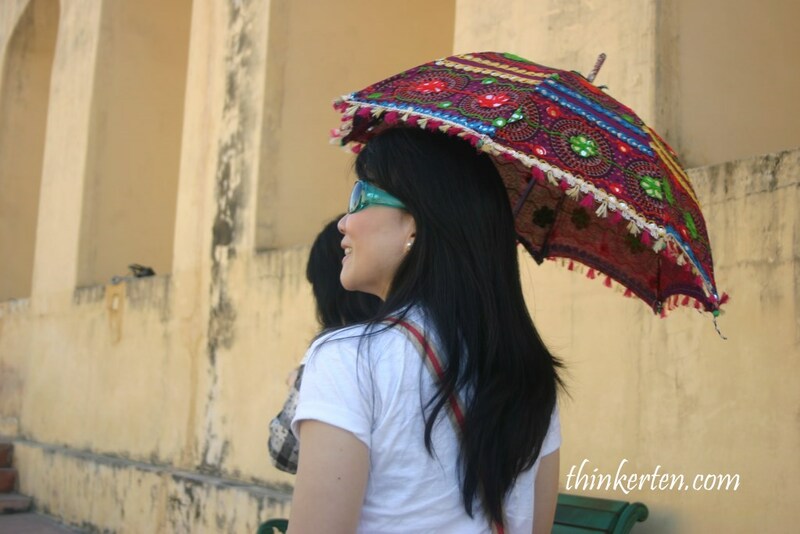 Boots from Turkey, umbrella from Amer Fort India. This is a passage connecting the royal family. 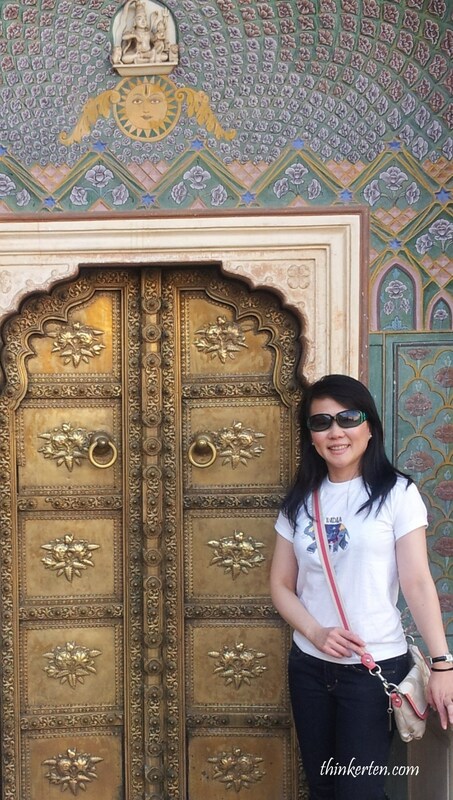 The 4 gates are beautifully carved, painted doorway and decorated with each theme. This is the most picturesque courtyard in City Palace. Go take picture with each gate and find out which gate is your favorite. This Chandra Mahal, it has seven floor but only the ground floor is opened for public, displaying carpets, manuscripts and other artifacts from the royal family. Is time to get a tattoo while in India, the henna painting will last 1-3 weeks. Need not worry if the design is out of date. This Indian lady made a lot of money in the City Palace as the queue was very long to get the tattoo. 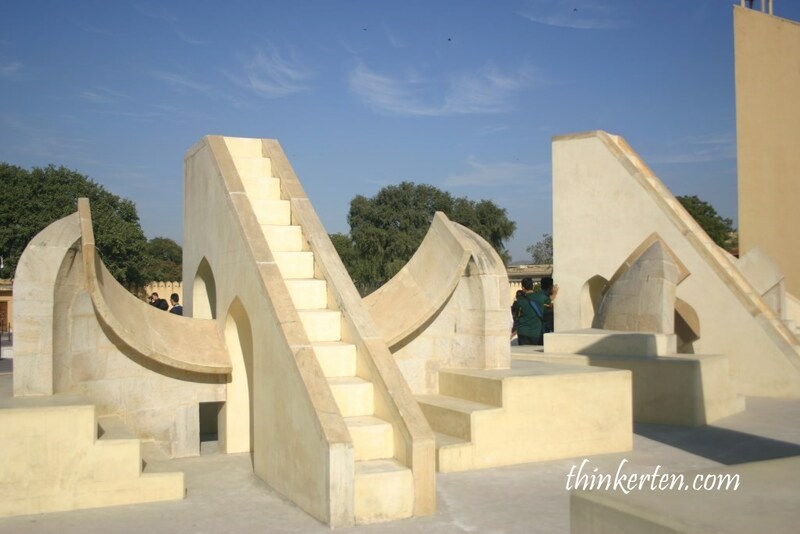 Jantar Mantar is the world’s largest stone sundial and also a Unseco World Heritage site and the meaning of Jantar Mantar literally means “calculating instrument”. The King Sawai Jai Singh II was a great scholar and has very strong interest in the astronomy so he ordered to build a collection of astronomical instruments in the 17 century. It is like a playground for the King. It is located very near City Palace so you can do the two together in a day. You can just walk from City Palace from Jaipur to Jantar Mantar, takes only 5 minutes walk. The time I reached Jantar Mantar was really hot, most of the time I was hiding under the shade. But I think it was the best time to check out whether these sun clock working or not under the hot sun. 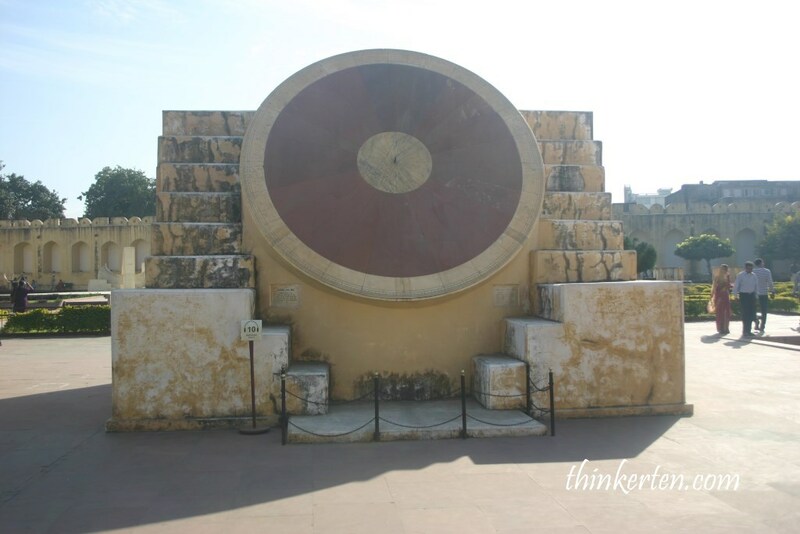 If you love science, this is the place for you as you can discover how the ancient people used these monumental stones to help them measure time, date, eclipses, zodiac sign. Get an experience guide to help you explain in details. 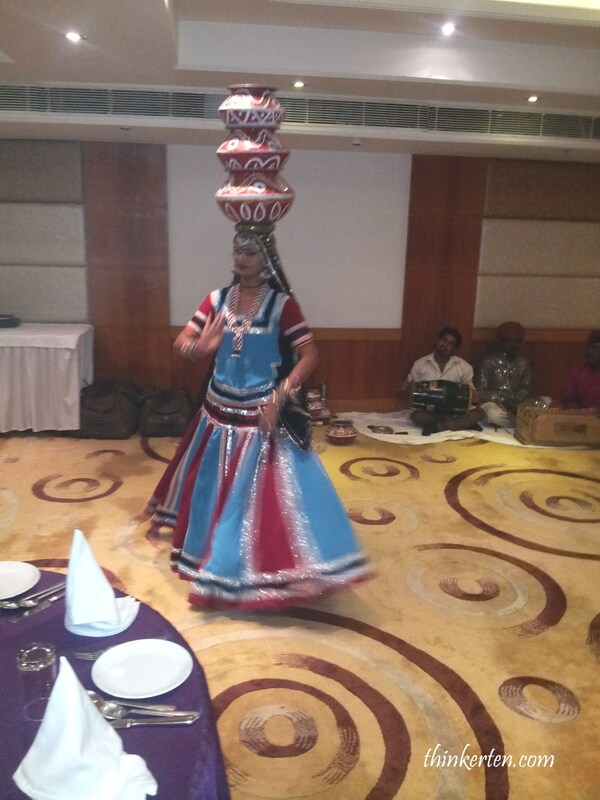 We get back to our hotel for dinner and after that we had some Indian ladies and Indian musician entertaining us. 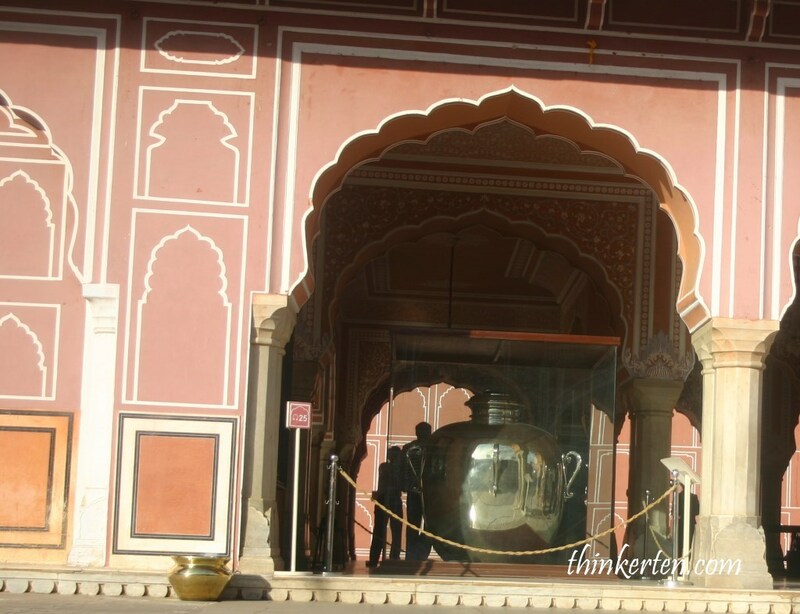 India Golden Triangle 1 : Jaipur is a city full of peeping windows! India Golden Triangle 3 : You can cover three Unesco sites in a day in Agra and Taj Mahal is one of them!